In the previous edition of the Journal of Applied Clinical Medical Physics (v. 14, n. 5, sep. 2013), a study of Orfit’s Open Face Mask has been published. In ‘Migration from full-head mask to “open-face” mask for immobilization of patients with head and neck cancer’ (LI, Guang et al. ), researchers at the Memorial Sloan-Kettering Cancer Center in New York have documented that the Orfit open face mask can be used as a superior alternative to a full mask without sacrificing the precision of the immobilization while increasing patient comfort and the patient’s ability to tolerate the treatment. 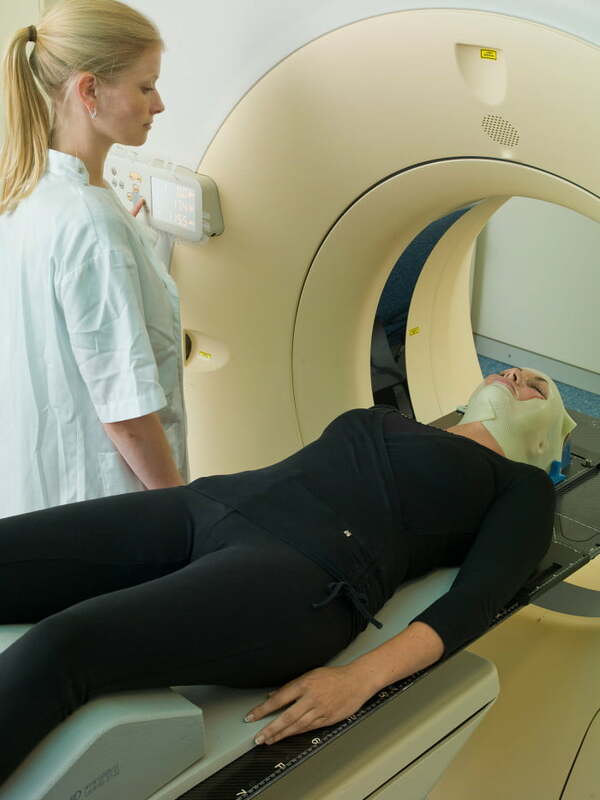 The new Open Face Hybrid Mask leaves eyes, nose and mouth exposed, and is, as such, a brand new device for adequate radiation therapy for the head and neck area. It warrants increased patient comfort and provides the same high precision immobilization as the standard head and neck masks. The open face mask exists in a 3-points version for the head and a 5-points version for the head, neck and shoulders and this both with HP L-profiles and push pin profiles.